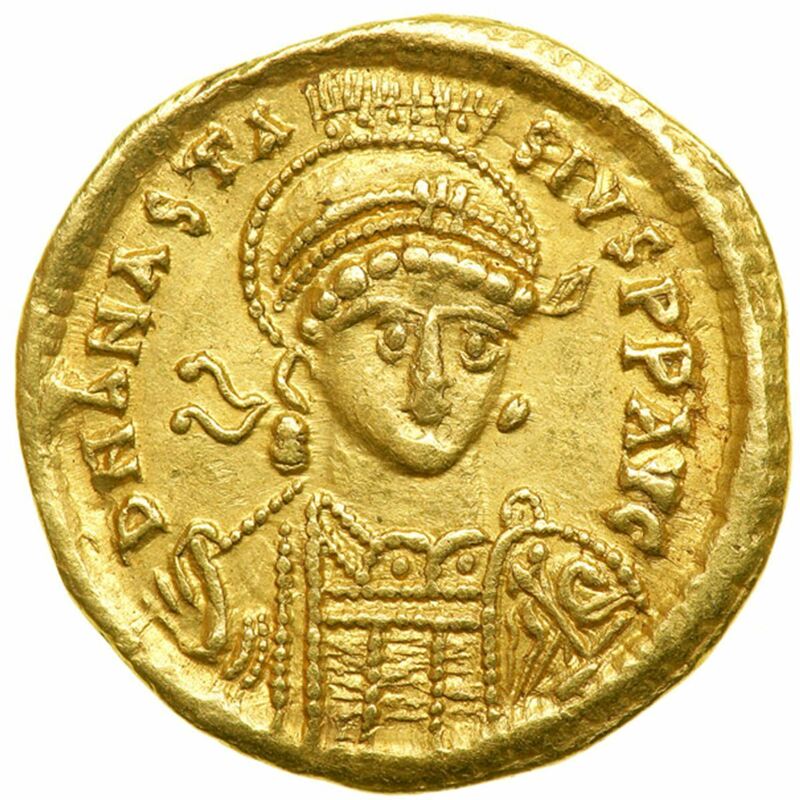 Anastasius I was Byzantine emperor from 491 to 518. He was born at Dyrrachium, into a noble Illyrian family, and rose to become a very successful financial administrator under several emperors. Following the death of Zeno in 491, there is strong evidence that many Roman citizens wanted both a Roman and an Orthodox Christian emperor. In the weeks following Zeno's death, crowds gathered in Constantinople exclaiming "Give the Empire an Orthodox Emperor! Give the Empire a Roman Emperor!" Under such pressure, Ariadne, Zeno's widow, turned to Anastasius who was in his sixties at the time. Ariadne married Anastasius shortly after his accession on 20 May 491. His reign, though afterwards disturbed by foreign and internecine wars and religious distractions, commenced auspiciously. He gained the popular favour by a judicious remission of taxation, and displayed great vigour and energy in administering the affairs of the Empire. At the end of his reign, he left the Imperial treasury with 23,000,000 solidi or 320,000 pounds of gold.